Does coffee have to be 100% Arabica? 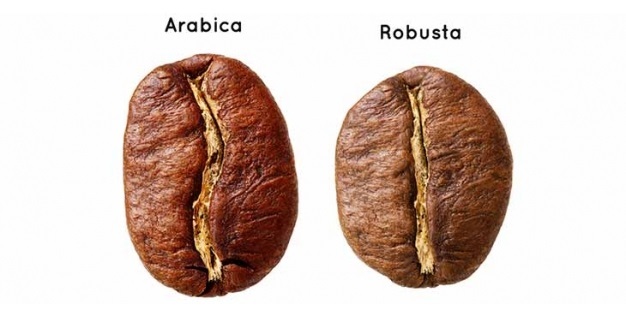 Why is Robusta such a dirty word in speciality coffee? Before I start, I want to be clear that Greenbean coffee is 100% Arabica and always has been. We never use anything except 100% Arabica beans in Greenbean coffee. There is no doubt that Arabica is better coffee than Robusta. It has more complex taste notes, more detail, more aroma, it’s longer in the finish, more velvety in the mouth, more fruity, more elegant, all in all it’s just better coffee. We all know this. But. Here comes the “but”. This isn’t a fashionable thing to say these days but I’m going to say it anyway. I like a bit of Robusta in my coffee. Some of the best coffees I’ve ever tasted have had a small percentage of Robusta as part of the blend. Just because Arabica is a better bean than Robusta doesn’t mean that Robusta should be banished to the instant coffee jars forever and that it should have no role whatsoever in making up a coffee blend. A little touch of Robusta can really round out a fine blend, adding to its quality, its complexity and its depth. My favourite Italian coffee roasters and blenders are adamant that a touch of Robusta adds depth, strength and flavour to a coffee and they will always add five or six or seven percent good quality Robusta beans to give the blend that extra “lift” from the merely excellent into the transcendental. In Britain and Ireland it’s very rare to find it in a decent coffee blend but Robusta isn’t a dirty word in Italy and the best roasters there can’t understand why we have turned our backs on one of the key ingredients of their best coffees. Some of the most creative and experimental roasters on the west coast of America are starting to introduce some Robusta into their blends so maybe a fledgling renaissance is getting underway. We’ll see. Robusta makes up around 30 percent of the global coffee crop, with Arabica making up the remaining 70 percent. Arabica is quite a delicate plant and it’s expensive to grow. It will only fruit well if it is grown at high altitude in tropical or semi-tropical conditions. It needs moist, rich soil and a particular mix of shade and sun. It’s not at all cold hardy and it’s prone to many pests and diseases. In short, Arabica is a pretty difficult plant to grow but it’s worth all the time and expense and effort because the best Arabica beans are simply exquisite and like nothing else on Earth. There’s no substitute. However, not all Arabica is amazing and some of it is very ordinary indeed. Because it’s such a fussy plant, it doesn’t perform well except in ideal conditions and this means that there is a lot of pretty poor Arabica on the market every year. Not all Arabica is good. Bear this in mind. 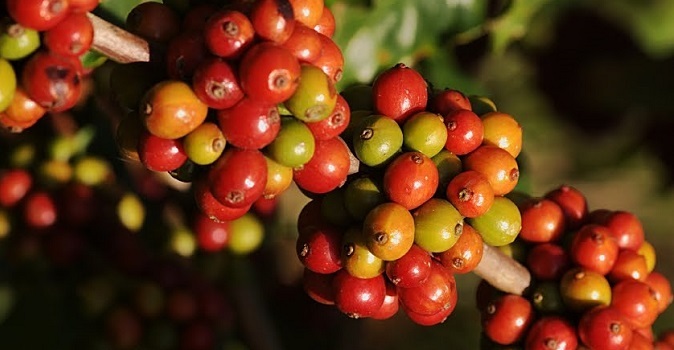 Robusta, on the other hand will grow at low altitudes in all sorts of climates, it is cold hardy, drought friendly, disease and pest resistant, yields bigger crops and is a lot easier and less expensive to cultivate. Robusta also has around twice the caffeine content of Arabica and more of the chlorogene antioxidants responsible for many of coffee’s health benefits. Most Robusta (but not all) is cheap and nasty commercial-grade and is only good for instant coffee making, which is where it ends up anyway. But it isn’t all bad. Some of it is very good indeed. Let’s look at it through the lens of a wine-making analogy. Because Cabernet Sauvignon is a relatively easy grape to grow, it is the most commonly planted variety in the world and is usually priced somewhat lower than other, more delicate varieties. Very often, these grapes are sold at a discount to less discerning wine-makers. Consequently, there are some pretty dodgy Cabernet Sauvignon wines on the market. But this doesn’t mean that there aren’t some sublime wines too, like most of the great Bordeaux reds, some of the most famous wines in the world. Next time you’re drinking a Margaux Grand Cru Classé or a St Julien, or one of the wonderful Hourglass wines from the Napa Valley, remember that the blend is mostly Cabernet Sauvignon and see how careful cultivation, the correct terroir and a skilled wine-maker can make magic out of what can be a very ordinary grape in less skilled hands. So it is with Robusta. I’ll say it again. I like a small percentage of good Robusta in my coffee. Five, six or seven percent is enough to add real strength and finish to the flavour and to boost the caffeine levels without crowding out the more refined fruity tones of the Arabica. If you take milk in your coffee, the little touch of Robusta helps cut through the milk in the cup to bring forward the flavour notes and the highlights of the Arabica. It also adds a lovely smooth, rich crema in most instances. There are some very interesting growers in India and Vietnam who are specialising in very high quality Robusta and selling it to a select few boutique blenders around the world. This isn’t the cheap, rubbery, commercial-grade Robusta that we all dislike. This is good, bright, clean strong coffee with a distinct flavour all its own and they deserve more attention for what they’re doing and for the strides they have made in Robusta cultivation. Sometimes the brokers will tip me off to a particularly interesting batch of beans and they will throw in a kilo or so alongside an Arabica order. So for a week or so I will play around with matching the different notes in different blends to the characteristics of the Robusta and I will make some coffee to take home and some to give to a few friends who I know will appreciate it. Everyone loves it; especially as a morning coffee. The extra kick of the Robusta is a great start to the day, particularly for avid coffee drinkers whose caffeine tolerance is high. It is a pity really, that in the last 20 years or so, “100% Arabica” has become almost the only shorthand that matters for good quality coffee. Robusta has become almost a dirty word in speciality coffee circles. In the same way that all Arabica is not uniformly good, not all Robusta is bad. It’s worth looking out for the odd gem of a blend (especially in Italy) with a small percentage of Robusta that adds to its shine.